South Bend residents will be able to use ArcGIS Hub to visualize proposed ideas and provide live feedback. With a population of just over 100,000 residents, South Bend, Indiana, is best known for the University of Notre Dame; its young mayor Pete Buttigieg; and as the one-time headquarters of the Studebaker Corporation, a now defunct American automaker. Although the city has faced challenges familiar to other areas in what is known as the Rust Belt, where manufacturing used to dominate, South Bend is now thriving because of recently successful economic development and revitalization projects. The South Bend city government focuses on providing residents with high-quality services at the greatest value to taxpayers. And residents have widespread confidence that the city successfully manages the fundamentals. Staff members work to gather input from citizens while providing clear and transparent indications of how the government uses public resources. For this transparency effort, South Bend uses ArcGIS Open Data to share plans, decisions, and projects with community members. And soon, the city will transition to ArcGIS Hub. One of South Bend’s major projects, the Vacant and Abandoned Properties initiative, set aside 1,000 days in which to either rehabilitate or demolish 1,000 abandoned houses throughout the city. In partnership with the City of South Bend, the Urban Enterprise Association of South Bend Inc. offered the Vacant to Value (V2V) Repair Grant Program, which provided matching grant funds of up to $10,000 to repair vacant and abandoned properties located within the City of South Bend. South Bend took action on 1,122 vacant or abandoned properties by its deadline, with a repair rate of nearly 40 percent. ArcGIS Open Data was so valuable in communicating initiative results that the City of South Bend is currently transitioning to ArcGIS Hub as an early adopter. With ArcGIS Hub, South Bend will be able to further its community engagement efforts by providing a central location where citizens can rally around initiatives and access relevant open data. ArcGIS Open Data was so valuable in communicating the results of its Vacant and Abandoned Properties initiative that the City of South Bend is transitioning to ArcGIS Hub as an early adopter. Following the Vacant and Abandoned Properties initiative, South Bend is working to engage the public on what should be done with vacant parcels. 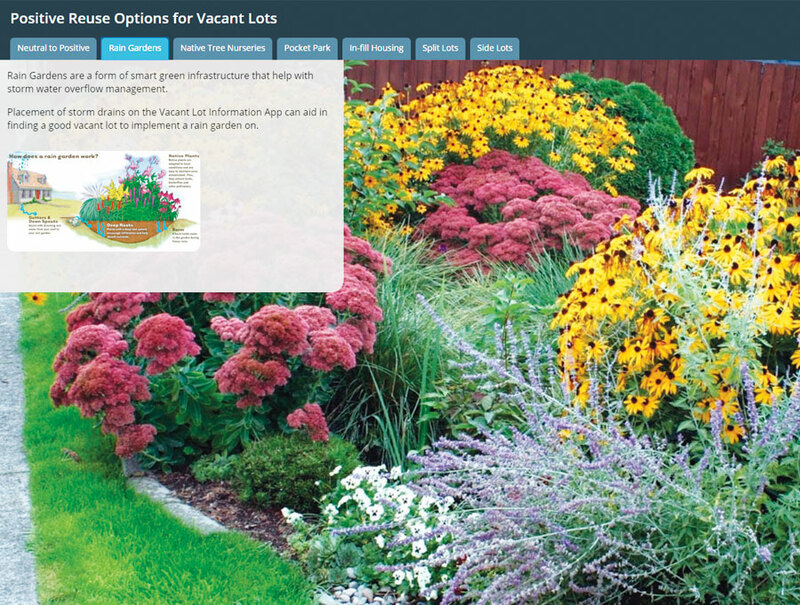 René Casiano, director of applications for the City of South Bend’s department of innovation and technology, performed suitability analysis to determine how vacant lots could be better used to drive growth and stability in neighborhoods. His analysis included county parcels, code enforcement violations, permitting, lidar, topology, and property value information. Land parcels could become pocket parks or gardens. Neighbors could be allowed to purchase the land. Or they could support the local environment by becoming a rain retention parcel to help maintain creek levels, a tree nursery to anchor soil, or a small monitoring station for environmental studies or smart city tech hubs. 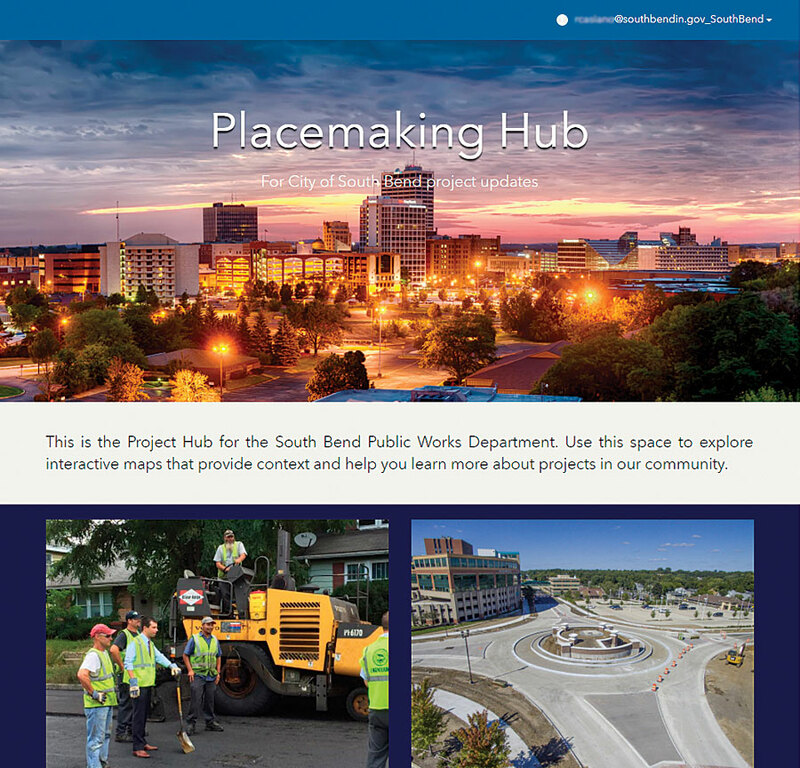 Through ArcGIS Hub, South Bend residents will be able to visualize proposed ideas and provide live feedback. By helping users put open data into the context of top priorities, ArcGIS Hub enables governments and communities to work together on policy initiatives that tackle pressing issues. Current ArcGIS Open Data users will still have access to the same open data functionality and capabilities they had before but will now manage those capabilities through ArcGIS Hub. 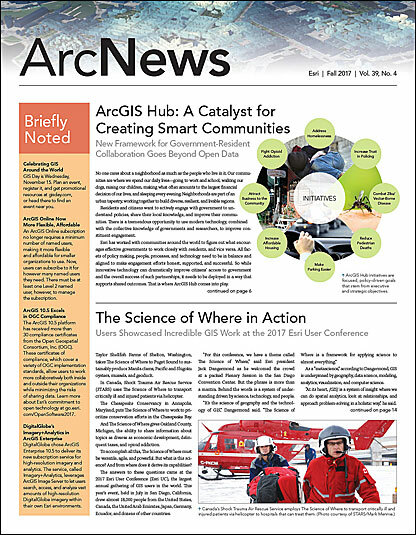 To learn more about ArcGIS Hub and find out how to get started with it, visit esri.com/hub.